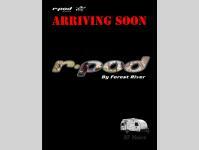 For the couple who is ready to camp anytime and anywhere you will love how easy it is to camp with this R-Pod travel trailer. 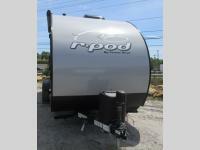 This unit features a slide, giving you room to move about. 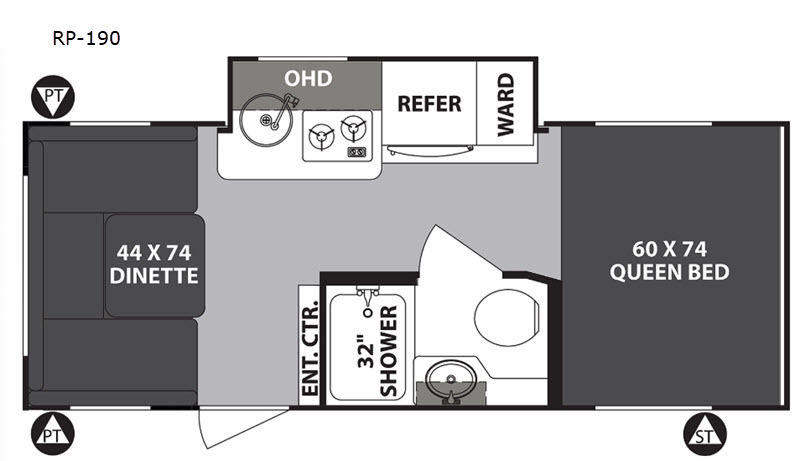 Within this slide, you will find the kitchen amenities, which include a two burner cook top, and a refrigerator. 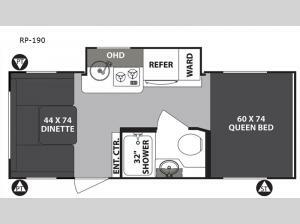 You can enjoy your meals at the U-dinette and this can double as a sleeping space, if needed. 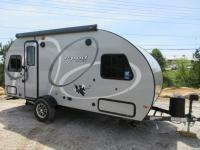 Along the front of this model there is a queen bed where you can rest up for another day of fun and adventure. With all of the exterior storage you can easily bring along all of your necessary camping items and more!